This poster is now displayed outside the library! 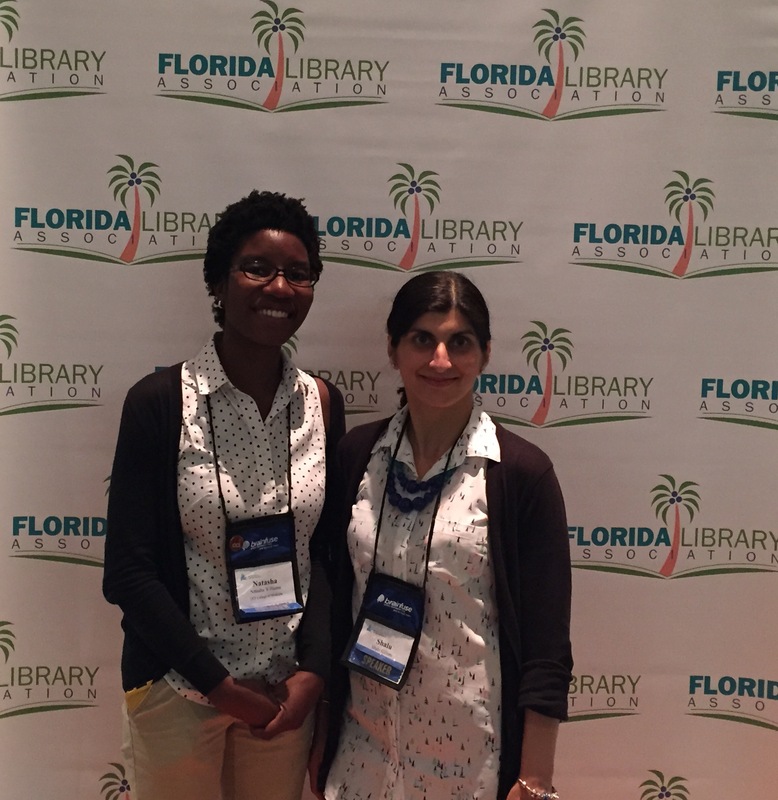 Three weeks ago, members of our library staff had the opportunity to interact with other medical library professionals outside of the College of Medicine at the 2014 Medical Library Association (MLA) conference. 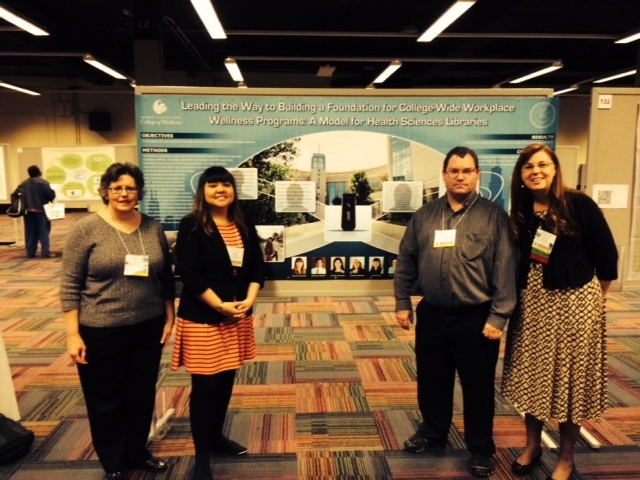 This year the annual conference was held in Chicago. 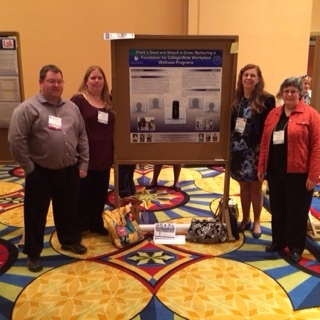 The UCF College of Medicine was represented by Nadine Dexter, the director of the health sciences library, Deedra Walton, Michael Garner, Kerry McKee, and Melodie Gardner. 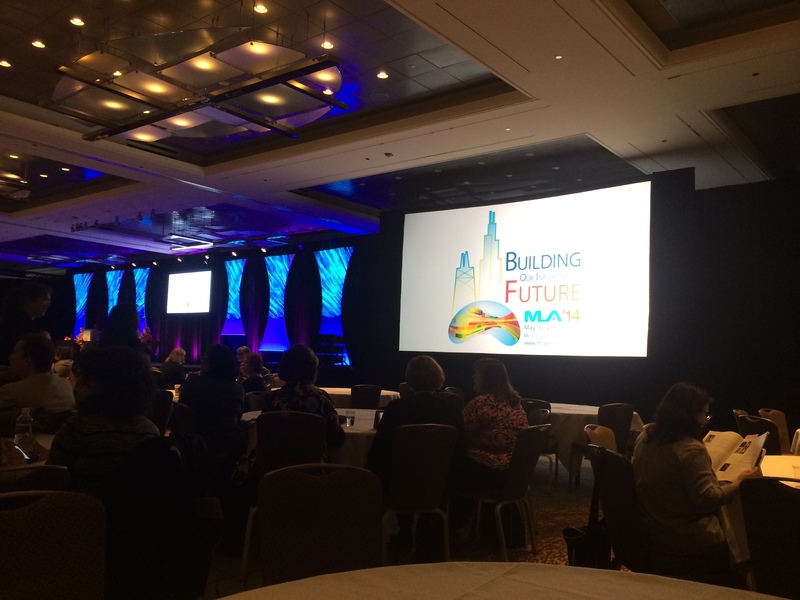 The theme of the conference was Building Our Information Future. Supporting that theme, the UCF librarians presented a poster entitled “Leading the Way to Building a Foundation for College-Wide Workplace Wellness Programs: A Model for Health Sciences Libraries,” showcasing the part that wearable technology could have toward creating a culture of workplace wellness (this poster was the result of our year-long Fitbit study!). In addition to the presentation of the poster, the conference was a great place to meet with the vendors of the resources that the library uses and network with our fellow librarians to exchange ideas on how to better serve those that use our services. Melodie took a couple of continuing-education courses; she found “Statistics in Libraries” and “Becoming an Expert Searcher” to be very informative. Everyone attended sessions on topics such as mobile technology in medical education and clinical services, marketing and branding the library, systematic reviews, the role of metadata in medical libraries, and patron privacy. On top of all this was the culture, food, and skyline of the host city. All of this added up to make the annual conference an interesting and impactful event that the attendees will not soon forget. Gotta get a Deep Dish Pizza, right? Your HSL librarians held a panel discussion yesterday, February 26th, at Day 1 of the 2014 Information Fluency Conference at the UCF main campus. The panel discussed how the Harriet F. Ginsburg Health Sciences Library went from a staff of one (Director Nadine Dexter), to the dynamic team it is today, and how the library came to be a 98% virtual library and a national leader in tablet deployment in medical education. 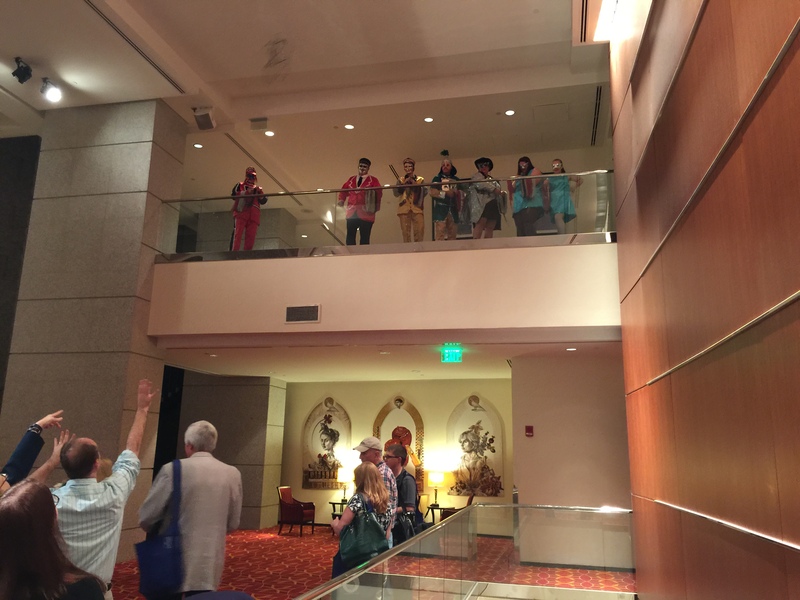 5 members of the Health Sciences Library staff traveled to Baltimore, Maryland, to participate in the Quad Chapter meeting of the Medical Library Association, October 13th – October 16th. 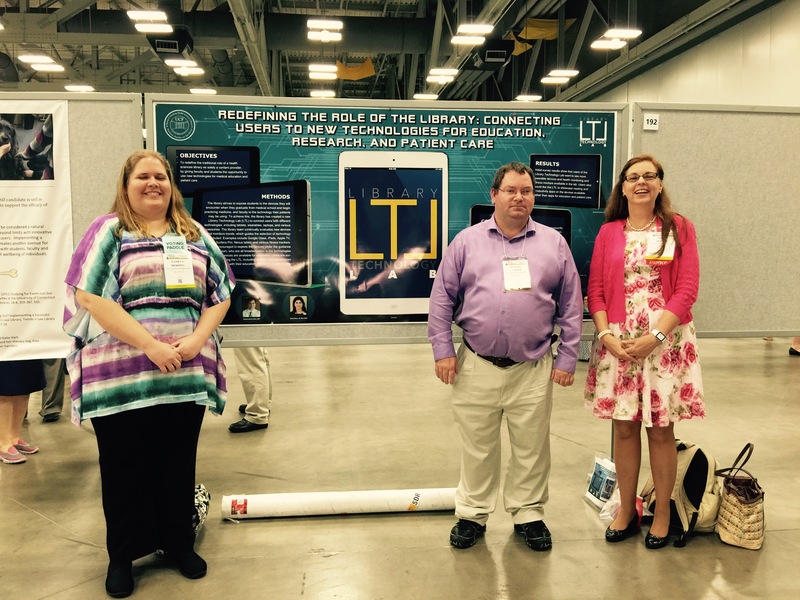 We were able to meet with many medical librarians from around the west coast, and present a poster titled “Making The Connection Between Tablet Technology And Accessing Library e-Resources”, detailing our iPad study. This same poster can now be found outside of the library, so please feel free to come by and take a look! Nadine Dexter was also invited to participate in a panel on Connecting with Technology Trends, and gave a talk about Emerging Technologies and New Medical Libraries. 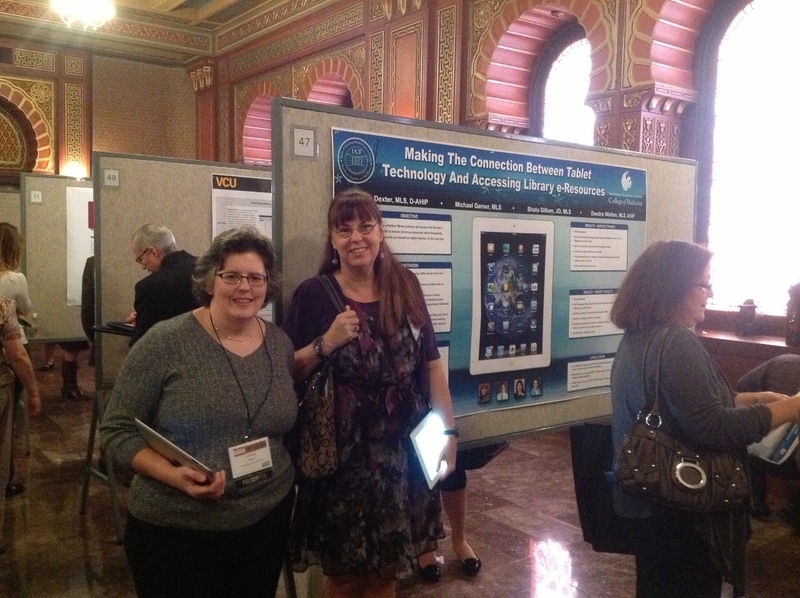 Deedra Walton and Nadine Dexter posing with our poster.